I’ve been a professional journalist writing mostly about music for far longer than I’d actually care to remember (since 2001, if you must know…). I’ve written for Rolling Stone, NME, CRACK magazine, as well as various titles that have come and gone in that time (Sound Nation, Plan B, Kruger). I also wrote the first unofficial biography about Lady Gaga, published by Orion in 2010. For examples of my music writing, click here. We Are Cardiff goes to Glastonbury! 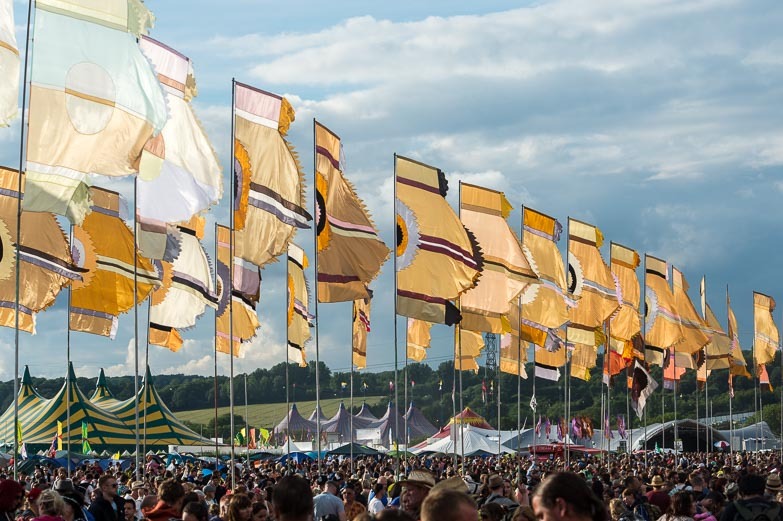 I went to Glastonbury for the FIRST TIME EVER this year, and blogged about it over on the We Are Cardiff site. Read on for my experiences! Bit of a misleading title seeing as the GREATEST FESTIVAL ON EARTH was nearly two weeks ago now. It’s taken me THIS LONG to recover and manage to write up my experiences. If you’ve no interest in reading about HOW AMAZING GLASTONBURY IS, then you best toddle off and read something else. Last night, I went to a rather marvellous gig at The Gate in Cardiff, featuring Cate Le Bon, who I’ll happily claim as a local artist (okay, she’s not really from round here, but she cut her musical teeth here over the past six or whatever years). I’ve been to see her before, many years ago at a Kruger show. Last night’s show reminded me of a great interview that we published in Kruger (a local music magazine that I used to write for, that sadly no longer exists). Luckily for YOU, the article still exists on Kruger’s Issuu page, so you can read it there. The wonderful Lisa Matthews wrote it, and the photography is flipping ACE too. Click on the picture below to go read! 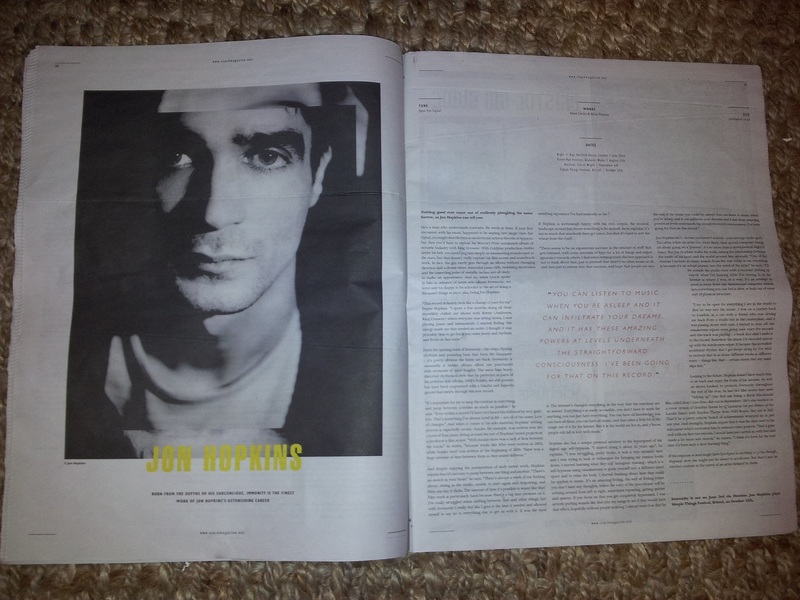 Interview with Jon Hopkins, co-written with Adam Corner for CRACK Magazine. 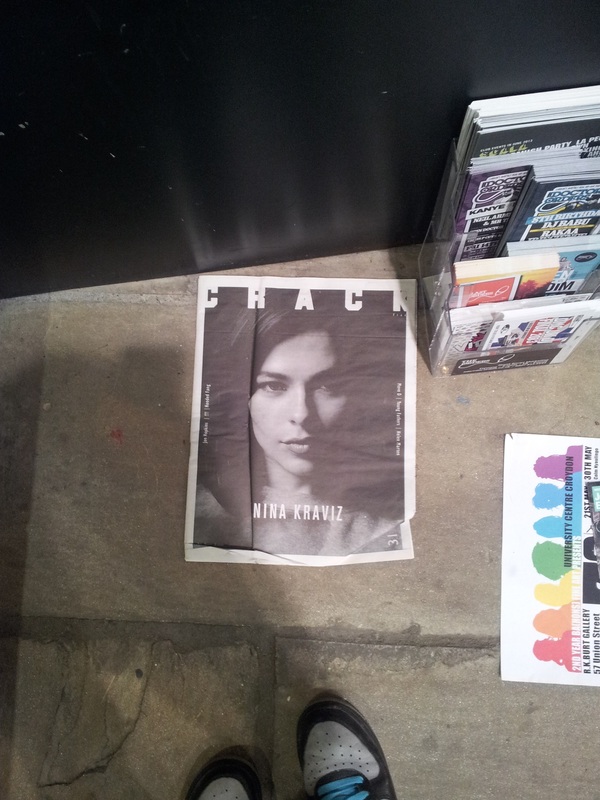 Me and my pal Adam Corner have written a couple of things for CRACK Magazine before. This was the first time we’ve tag-teamed on interviewing someone. I think it worked out really well. Once I’d stopped squealing about Jon Hopkins and actually got down to writing, that is. If you’ve not heard of Hopkins or his work before, I recommend you stop everything you’re doing, watch this video, and then go and buy everything in his back catalogue. Don’t worry. There’s still time. You can read the article on CRACK’s website: CRACK Jon Hopkins feature (or it’s available at the bottom of this blog post). Born from the depths of his subconscious, Immunity is the finest work of Jon Hopkins’s astonishing career. Nothing good ever came out of endlessly ploughing the same furrow, as Jon Hopkins can tell you. He’s a man who understands contrasts. He revels in them. If your first encounter with his music happened to be searing new single Open Eye Signal, you might describe him as an electronic artist in the vein of Apparat, but then you’d have to explain his Mercury Prize nominated album of acoustic balladry with King Creosote. With Coldplay production credits under his belt, you could peg him simply as unassuming soundscaper to the stars, but that doesn’t really capture his film scores and soundtrack work. In fact, the guy rarely gets through an album without changing direction half a dozen times: mournful piano riffs, twinkling electronica and the unsettling pulse of metallic techno are all likely to make an appearance. And so, when Crack spoke to him in advance of latest solo album Immunity, we were only too happy to be schooled in the art of doing a thousand things at once; aka, being Jon Hopkins. From the opening track of Immunity – the crisp, clipping rhythms and pulsating bass that form We Disappear – it’s pretty obvious the beats are back. Immunity is essentially a techno album, albeit one punctuated with moments of quiet fragility. The same bass heavy, distorted rhythmical style that he perfected in parts of his previous solo album, 2009’s Insides, are still present, but have been augmented with a blissful and hypnotic groove that swirls through this new record. If Hopkins is increasingly happy with his own output, the musical landscape around him leaves something to be desired. As he explains, it’s not so much that standards have got lower, but that it’s hard to sort the wheat from the chaff. Jon Hopkins isn’t – in case you haven’t noticed – your average studio geek. Too often when an artist (or, more likely, their record company) bangs on about going on a ‘journey’, it’s no more than a metaphorical flight of fancy. But Jon Hopkins walks the walk, taking the relationship between the inside of his head and the world around him seriously. “One of the reasons I include so many sounds from the real world in my recordings is because it’s an actual journey into the mind of the artist” he says. “I’ll be outside the studio door with a recorder picking up exactly what I’m hearing while I’m writing it, so the listener is where I was, in a way. It’s an attempt to move it away from one dimensional computer sounds into something you can feel is alive, or built out of some sort of physical structure. Looking to the future, Hopkins doesn’t have much time to sit back and enjoy the fruits of his labours. As well as shows booked to promote Immunity throughout the rest of the year, he has two film scores that need “tidying up” (the first one being a Kevin Macdonald film called How I Live Now, due out in September). He’s also worked on a cover version of Goodbye Horses by Q Lazzarus (as per Silence of the Lambs fame) with Hayden Thorpe from Wild Beasts, due out in July. That’ll be a pretty eclectic bunch of achievements wrapped up in just one year. And strangely, Hopkins argues that it was the slow start to his solo career which motivated him to embrace other projects. “Had it gone well with my first two records, I would have just carried on with that and made a lot more solo records” he muses, “I think it’s been for the best that it’s been such a slow burning thing”. If the response to lead single Open Eye Signal is anything to go by, though, Hopkins’ slow rise might just be about to accelerate. But that’d just be another contrast in the career of an artist defined by them. Immunity is available now via Domino. Jon Hopkins plays Simple Things Festival, Bristol, on October 12th, as well as Green Man, Glanusk, Wales (August 17th) and Bestival, Isle of Wight (September 6th).